Travelers know where the water is safe. But what about the streets? 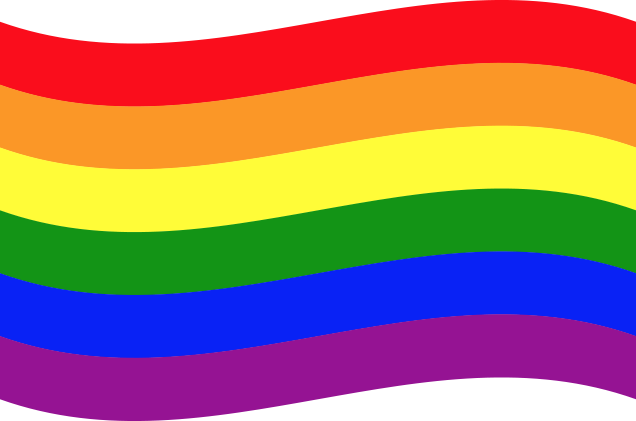 GeoSure Announces Launch of First Localized LGBTQ Safety Ratings! How do you measure safety? How do you express safety in a way that is truly meaningful? How can location safety scores help people to better understand safety and travel more confidently — with more peace of mind — in places that are new or unfamiliar? GeoSure has answers. We have developed the most trusted, granular, real-time safety measurement platform ever created. With a mobile phone or smart watch, you can gauge your personal level of safety at any moment, anywhere in the world. GeoSure incorporates the most accurate safety and security data on the market, with continuously updated ratings for every popular destination and major cities across the globe, right down to individual neighborhoods. What is the true safety score? Our color-coded, 1-100 ratings scale has established a global standard for expressing safety in relative terms that anyone can understand. Our GeoSafeScores™ reflect the analysis of hundreds of variables specific to each neighborhood, producing standardized, customized safety “temperatures” that can easily be compared by location and over time. GeoSure combines country, city, and neighborhood crime statistics; health, economic and political data feeds; tourism and travel alerts; real-time reports; mapping technologies; and much more. We validate data using sophisticated statistical algorithms to yield the most detailed location safety ratings in the world, across seven critical safety categories. 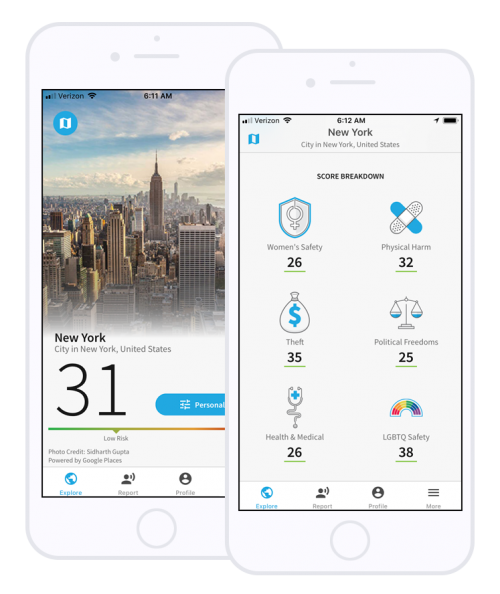 A gender-specific, data-rich score that measures your personal vulnerability in real time, for anyone traveling domestically or abroad, and forecasts their safety in the locations where they are, or where they’re headed. GeoSafeScores™ inform personal judgments and optimal travel decisions. Our relative scale gives users the ability to compare the safety of unfamiliar places with the safety of places they know well. In a short time, our 1-100 scale will feel as intuitive as understanding the difference between, say, 32 and 65 degrees Fahrenheit. A key part of our data comes from consolidating the experiences and information shared by thousands of travelers and organizations within the GeoSure community. By becoming part of our community, you can play an active role in making the world safer for yourself, your family and friends, employees or co-workers, and fellow travelers. Empowering individuals and communities to take control of their own well-being.